The recent downturn in the Chinese economy has become a focal point of global attention, with some analysts warning that China is edging dangerously close to economic meltdown. Is it possible that the second largest economy in the world could collapse and drag the rest of the world with it? In this penetrating essay, Ann Lee explains both why China's economy will not sink us all and the policy options on which it is drawing on to mitigate against such a catastrophic scenario. Dissecting with realistic clarity the challenges facing the Chinese economy, she makes a compelling case for its continued robustness in multiple sectors in the years ahead. Ann Lee is a former Visiting Professor at Peking University and hedge fund partner of two multi-billion dollar hedge funds. She is a recognized authority on China's political economy and author of the award-winning international bestseller What the U.S. Can Learn from China. 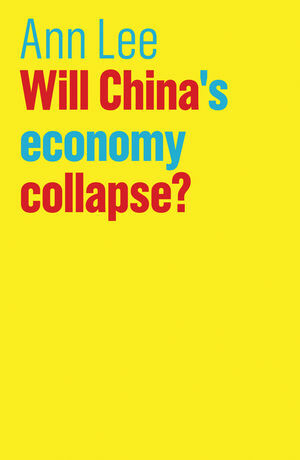 Chapter Four: Can China’s Economy Lift Us All? "Bold and flexible leadership is likely to sustain bright economic prospects for China despite its slowing growth rate and aging population. That is the bottom line of this illuminating analysis of how challenges in the world's second largest economy are being met." "This is a very helpful book."